Continuing on the promo tour, Maisie Williams hit the green carpet on Sunday(January 21st) for the screening of 'Early Man' at the Showcase Cinema in Bristol, England. 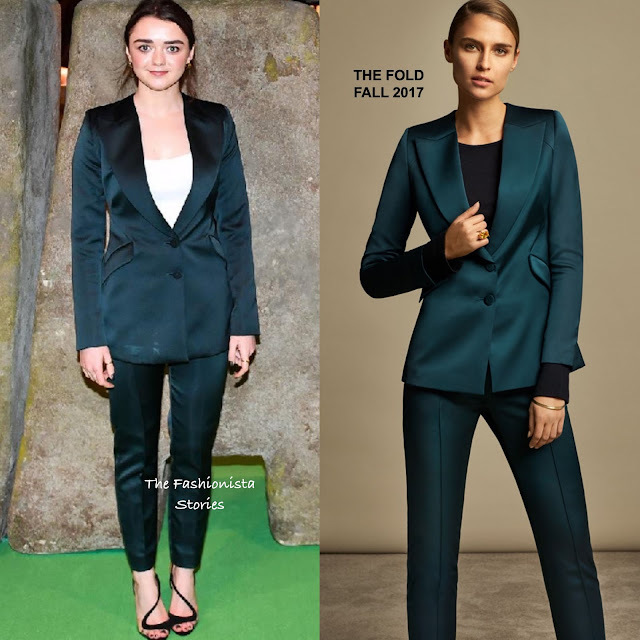 For her appearance, she wore a THE FOLD FALL 2017 emerald two-piece suit which she layered white a white top underneath. I like this look, it's a simple but great look. On the beauty end, she went with minimal make-up and a up-do. LUV AJ earrings, a J. HARDYMENT ring and the NICHOLAS KIRKWOOD 'Maeva' black pearl sandals finished up her look.